London - Wimbledon organisers on Friday announced the introduction of a final set tie-break for all Championship events, commencing in 2019. "Informed by a thorough review of match data from the past 20 Championships, and upon consultation with players and officials, the tie-break will be played when the score reaches 12-12 in the final set," a statement on Wimbledon's official website read. "This rule, which will be processed with respect for the Rules of Tennis governed by the ITF, will apply to all events at The Championships across Qualifying, Gentlemen's, Ladies', Mixed and Junior singles and doubles. The match winner(s) will be the first player(s) to win seven points with an advantage of two or more points. There will be no change to the current format of the Wheelchair and Quad Wheelchair events, which are the best of three tie-break sets." The All England Lawn Tennis Club (AELTC) Philip Brook commented: "In reaching this decision, the AELTC Committee sought the feedback of both players and officials, analysed two decades of match data, and considered other factors including scheduling complexities and spectator experience. "Our view was that the time had come to introduce a tie-break method for matches that had not reached their natural conclusion at a reasonable point during the deciding set. While we know the instances of matches extending deep into the final set are rare, we feel that a tie-break at 12-12 strikes an equitable balance between allowing players ample opportunity to complete the match to advantage, while also providing certainty that the match will reach a conclusion in an acceptable timeframe. "As a next step, we look forward to sharing further details with our Grand Slam, ITF, WTA and ATP colleagues when we meet in Singapore." 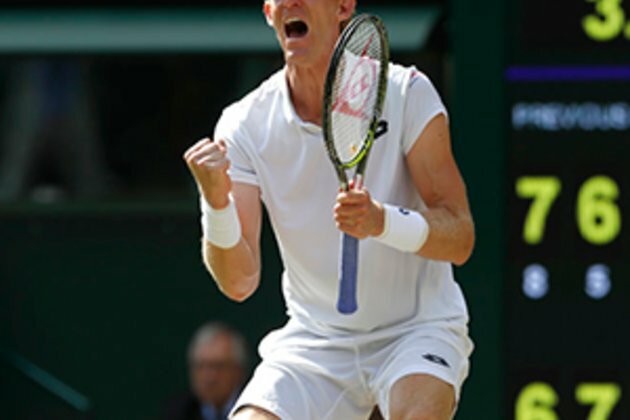 This comes after the Championships organisers were criticised for not having tie-breaks at this year's event which saw South African Kevin Anderson make the final after a marathon 6-hour, 36-minute semi-final win over America's John Isner. Anderson beat Isner 26-24 in the final set, before losing the final in straight-sets to Serbia's Novak Djokovic two days later.